Flat Rate Shipping is Here! Shipping charges based on the total weight of the submitted order. You will be able to review shipping charges before actually placing your order. Please call us at 800-395-0147 for a quote. 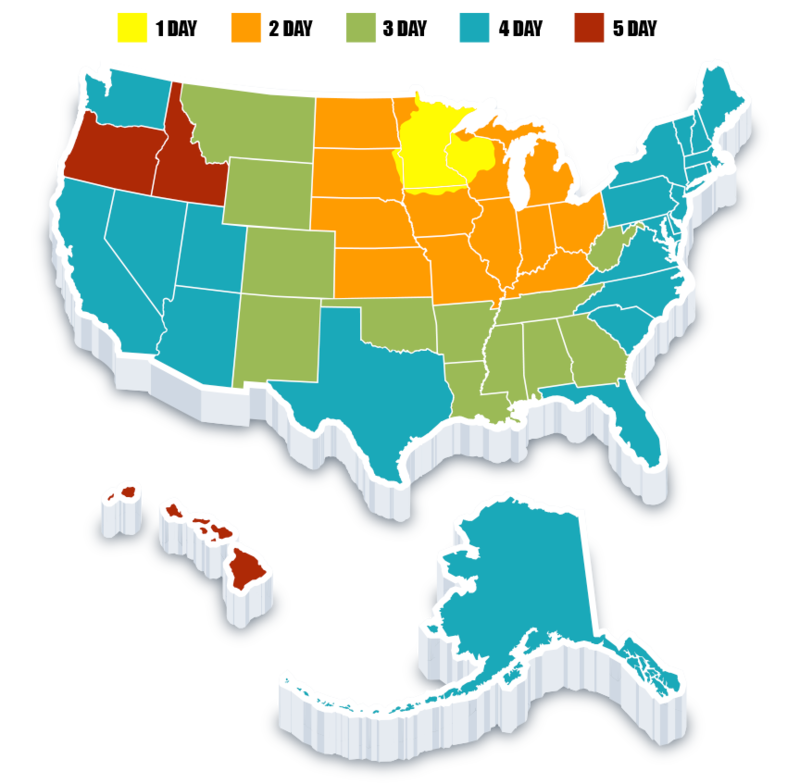 We use UPS, Speedee, and the US Post Office depending one the weight of the order and your location. Please provide an accurate email address if you would like a tracking number for your shipment. Please allow approximately 3-5 business days to receive your order. We do our best to ship orders within 2 business days and the average delivery time is 2-4 business days depending on your location. 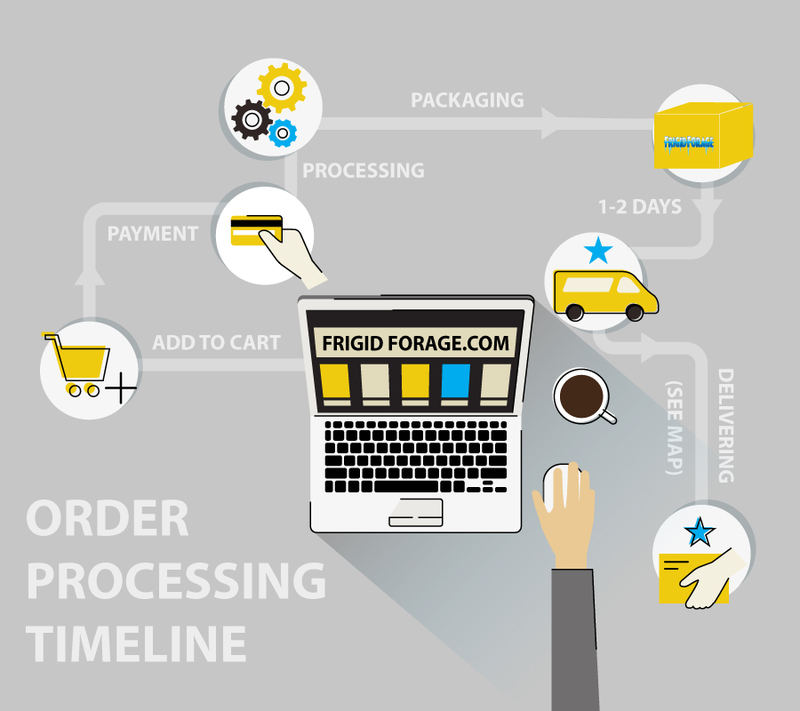 In the event of a returned purchase, Frigid Forage will refund the cost of the item but not the original shipping charge. In order to qualify for a full refund the item must be returned in original condition with the original packaging intact. Thanks for shopping Frigid Forage!